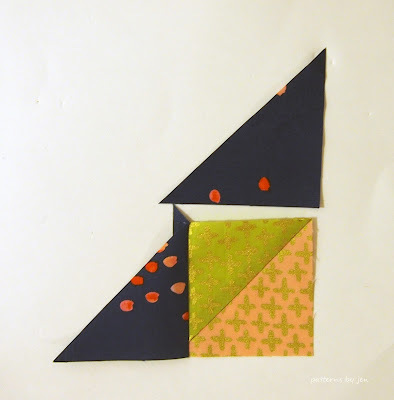 We're laying out our blocks and stitching them together. This should be a fairly quick and simple step, but getting the blocks to match up nicely and keep your points can take time, that's why we're just putting the blocks together. 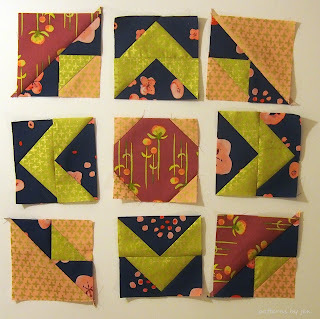 Pin the block at the seams, and at the very end. Keep an eye on the Flying Geese point so you don't lose it. I like to layout my quilt, even if it's just one block and get a feel for the top. 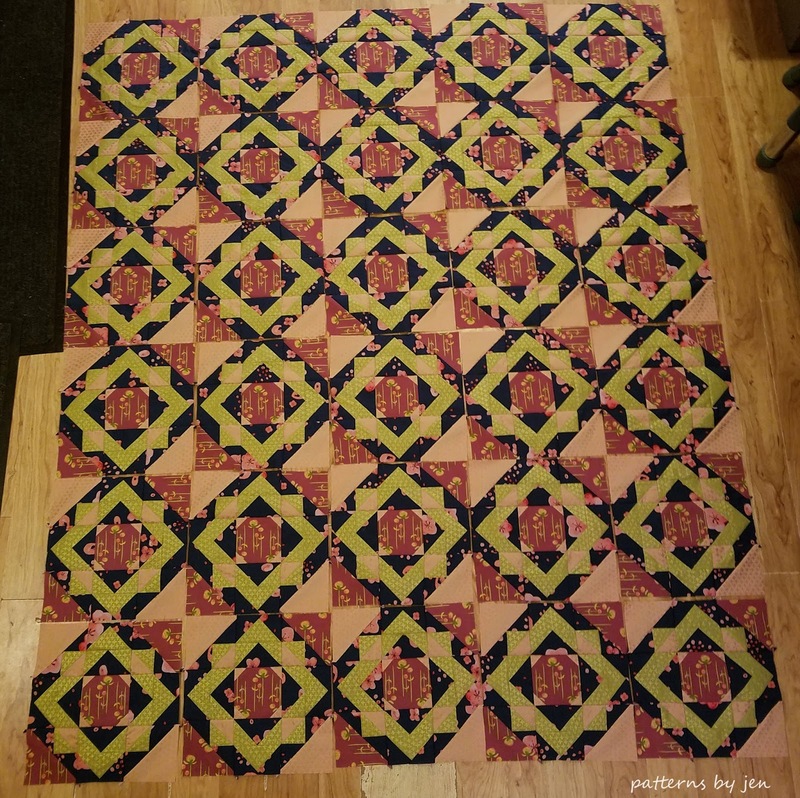 I don't have a design wall, so the floor it is. In doing so I realized that the instructions to sew and press all of the rows the same way, won't work for blocks that have fussy cut centers. Instead I will press in opposite directions as I put the rows together. Do you have a design wall? If so do you use it often? If not, what is holding you back? In my case it's space...and cats. My cats would totally climb that sucker and tear it to the ground, laughing the whole time. Let me know in the comments how you lay out your quilts. It's here! The lovely Border Quilt. Pattern 13 from Patterns By Jen, but don't let that fool you, this number 13 is lucky! 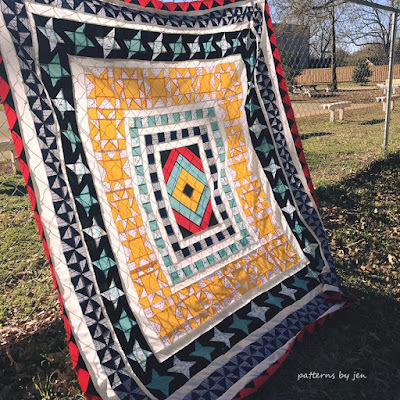 I'm releasing the digital version of The Border Quilt on my Etsy and Craftsy sites, at a discounted price of $6, while I wait for the hard copies to be printed. I had many starts, stops and redos when designing it in the EQ5 program, because when you have different sized blocks to work with, it's like a puzzle to make them all fit, so you will notice that the cream borders are different widths throughout the pattern. 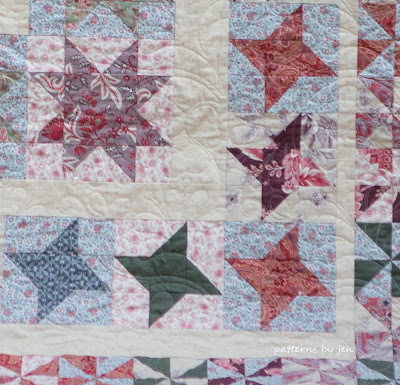 I did a sneak peek of the quilt in Watertown, SD at a quilt show I was vending at. It was thought to have the look of a round robin, and I think that is a really good way to describe it. I stepped out of my comfort zone and went all scrappy with this top. The fabrics in the large version are all French General fabrics. 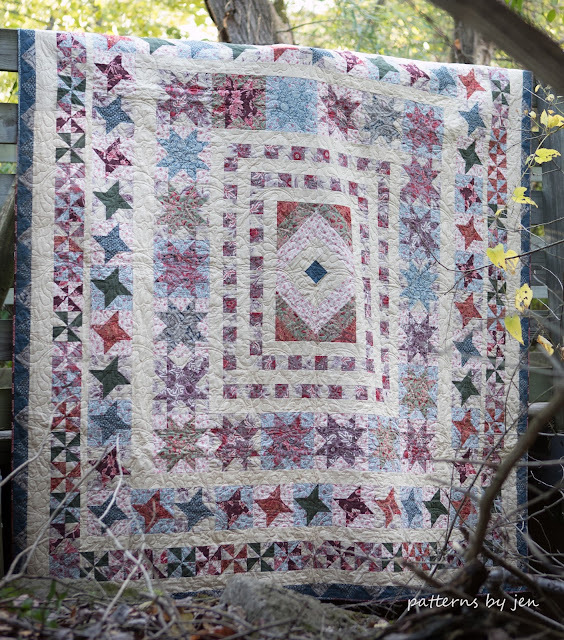 The middle can be pieced as it is in the larger version, or you can use a favorite focal fabric as shown in the smaller version. I love that versatility. This smaller version is so fun and super quick. I backed it with minky and think a little one would enjoy that texture. 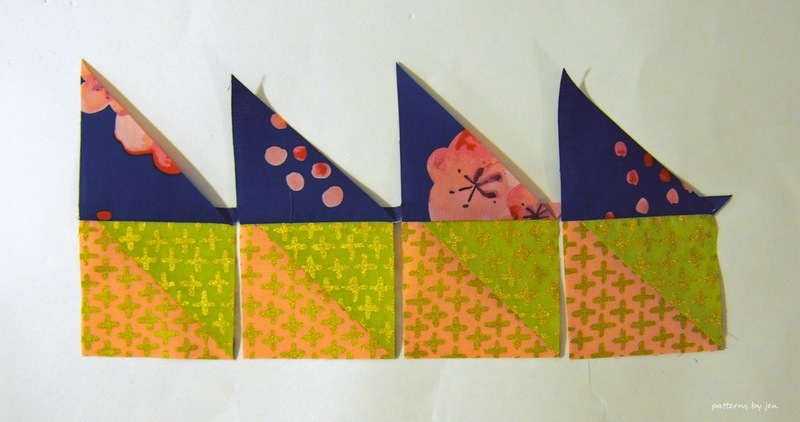 This pattern has four different sizes, so it's easy to make the size you love. Let's take a look at the tops the testers made. 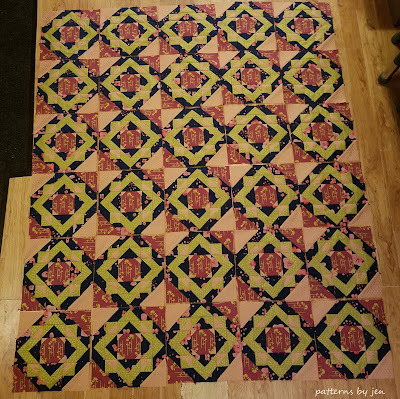 Sherra made the 54" x 60" size. Love those colors, and those dots!! You had me at dots! 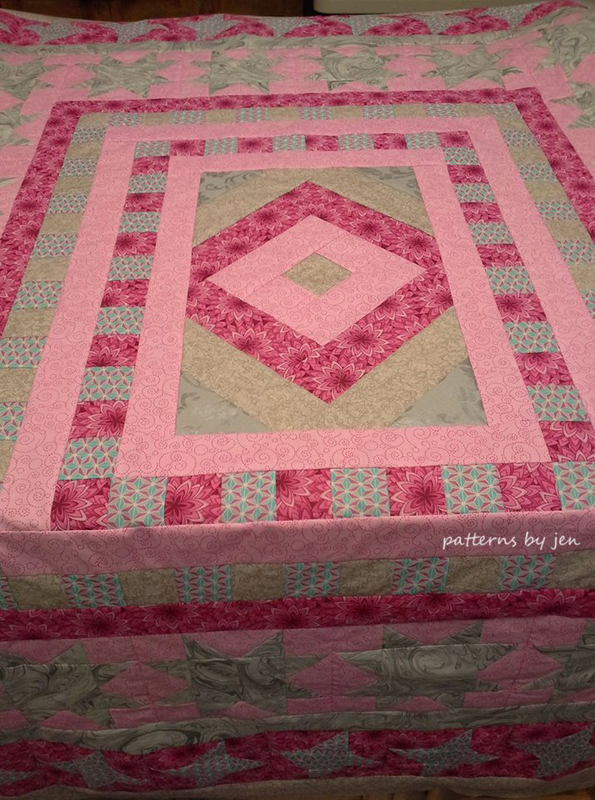 This scrumptious pink 68" x 76" version is from tester Dedee. Love the look of just two colors. She says she will definitely be making this one again. Allison braved the 89" x 92" version. Isn't it stunning. I always like the stained glass look of the quilts when they are flimsy's and the sun shines through them. 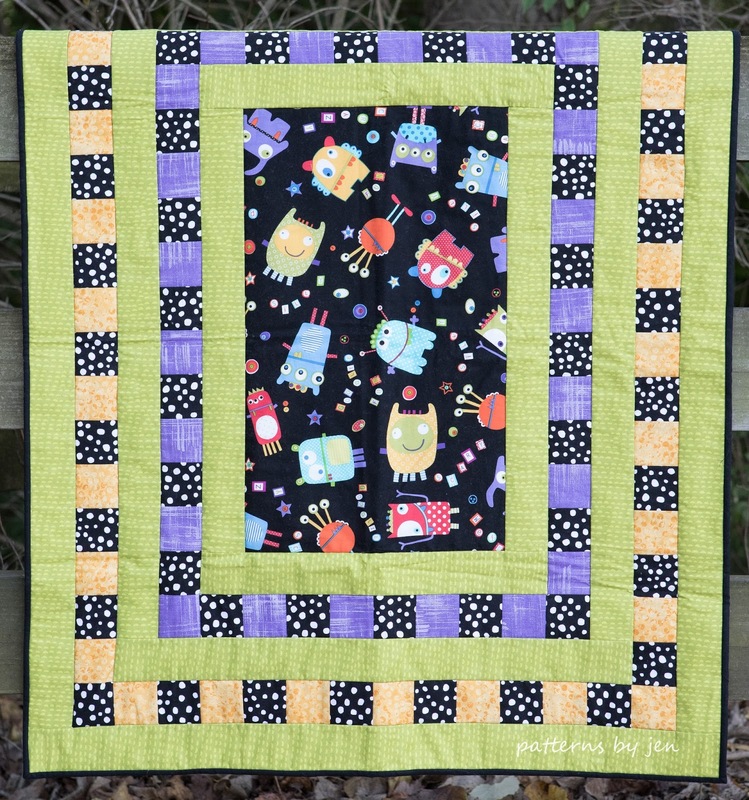 I think quilts are like children, you love them individually for their own personality, but this one might be my favorite...until the next one. 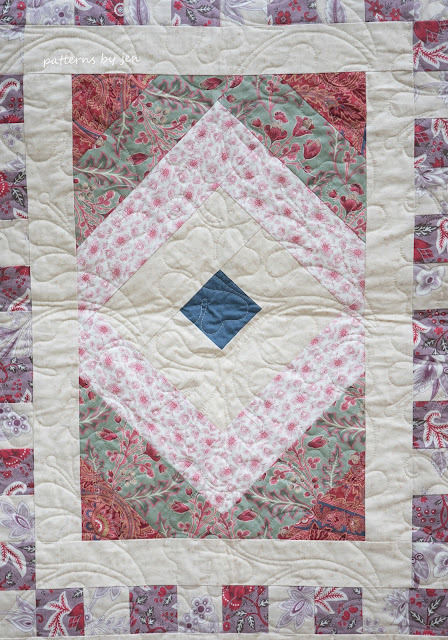 Do you have a favorite quilt you've made or do you love them all the same? Made with: French General Fabrics. We've made all of our units and it's time to put our blocks together! You guys, I can't believe we're almost done!! I love when I get to this point. 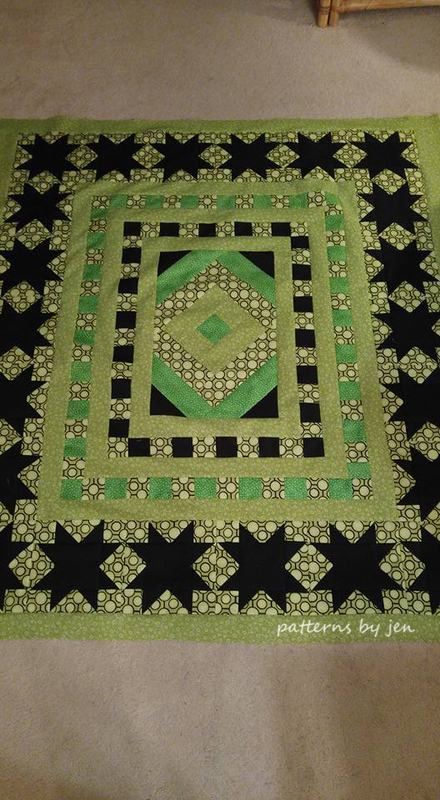 All of that work, cutting, stitching, trimming and stitching some more and we finally get to see it come together in full blocks. 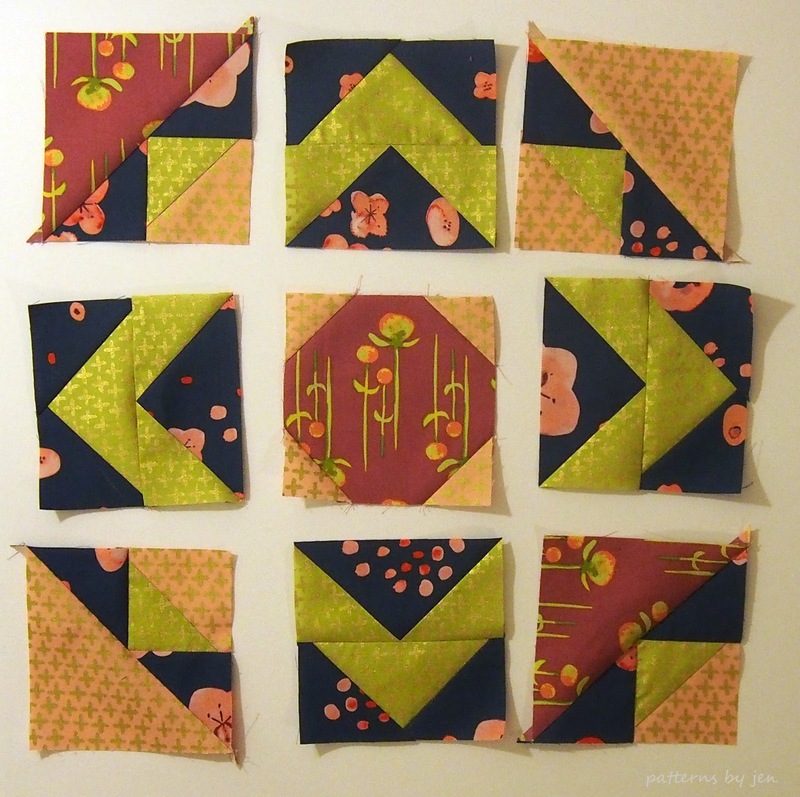 Lay out your block, noting the direction of your Corner units and Flying Geese units. Stitch into rows, and press. Once your rows are together, stitch your rows together. 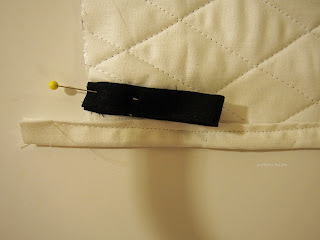 I like to pin when I am sewing my rows together, not just where the seams meet, but the very end of the row as well, that way I know I'm not stretching them out of line. Continue until you have 30 blocks. 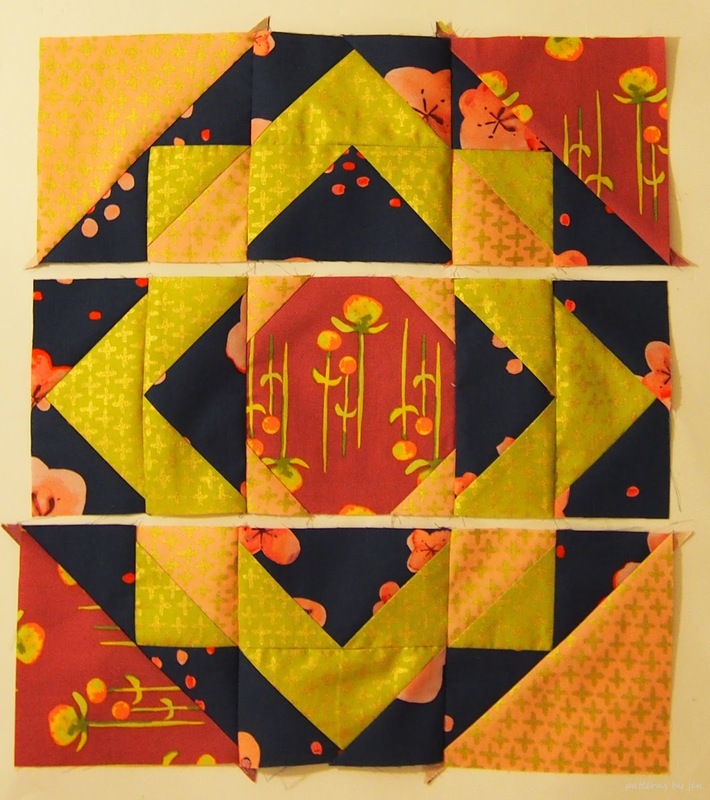 I like to make all of the rows, and then do all of the blocks all at once. 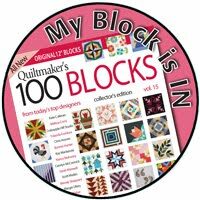 Do you like to do that or do you do a block at a time? Next week we're putting the top together! 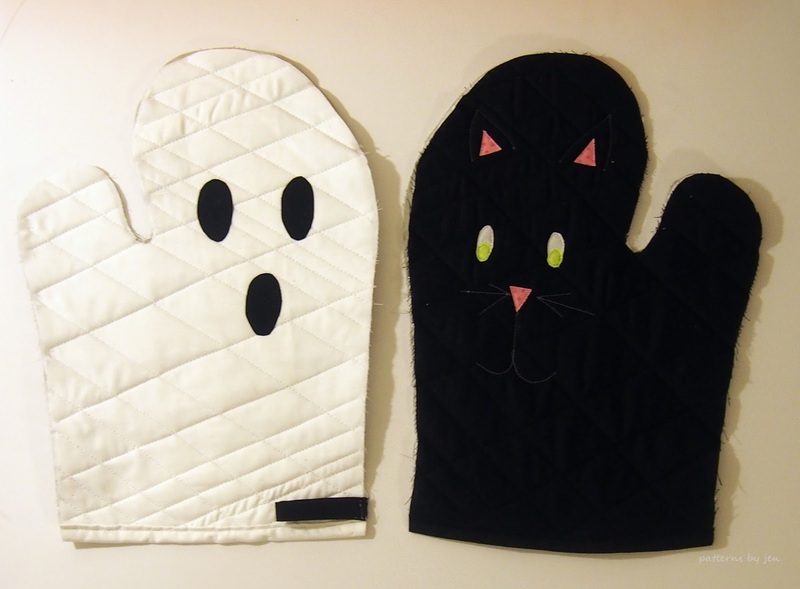 Do you need some oven mitts for Halloween? I was part of a fun blog hop full of Halloween ideas, you can fine my post, as well as links to the other bloggers, HERE. We're getting closer to being able to put our blocks together. 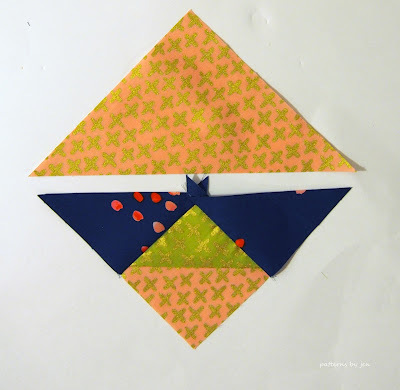 This week we are adding triangles to the Half-Square triangles we made last week. We are using the last black 2 7/8" squares. If you haven't already, cut them once on the diagonal. Watch placement of the half-square triangle and the black triangle. Sew carefully without stretching. Note that I stitched with the half-square triangle on the bottom, this is because the seam allowance on the half square triangle is pressed that way. 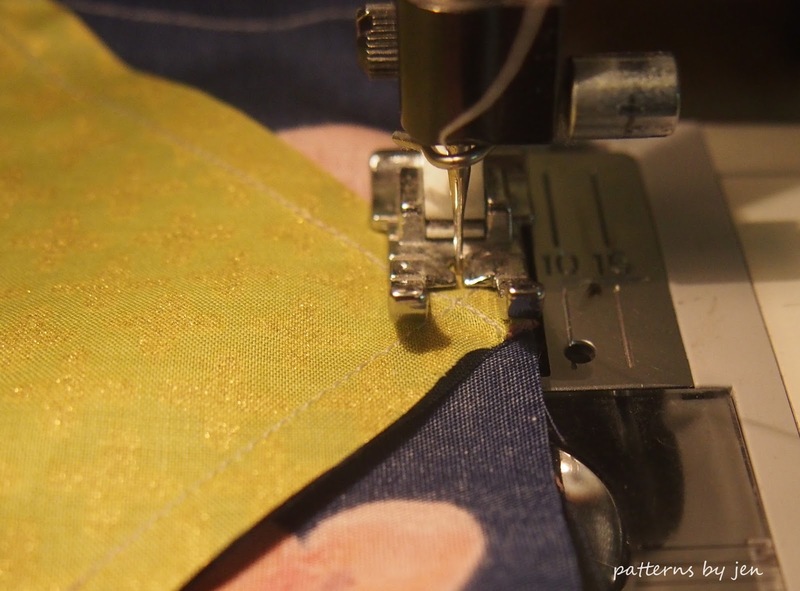 Now I don't have to worry about my seam allowance getting bunched up or folded over while I stitch. Press carefully towards the black, again making sure not to stretch. Line up the second black triangle, note position, and repeat. This time I stitched with the half-square triangle on top, again making sure my seam allowance won't get folded or bunched up. Make 120 of these units. Next, we are using the white and teal 4 7/8" squares. If you haven't already, cut once on the diagonal. 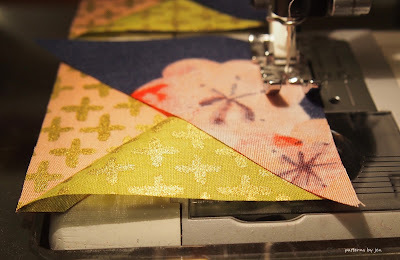 Lining up your pieces as shown, sew with the pieced triangle on top, so you can keep your point. 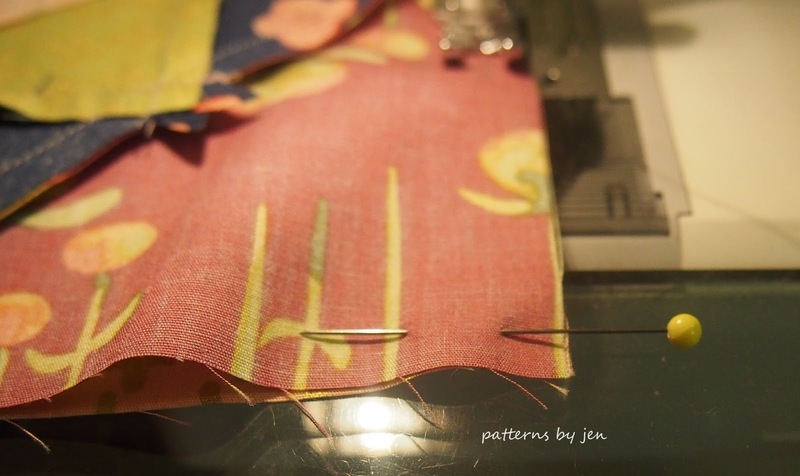 I pin both corners and the middle to keep the fabric from stretching and moving. 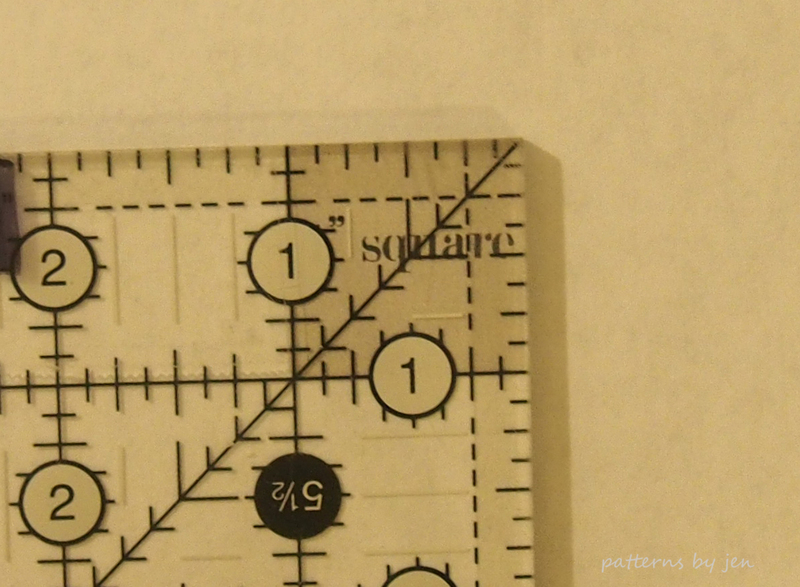 Sew carefully, this part of the unit has biased edges, which means they will stretch. Just go slow, don't pull, and it will work. Press carefully towards the white/teal triangle. 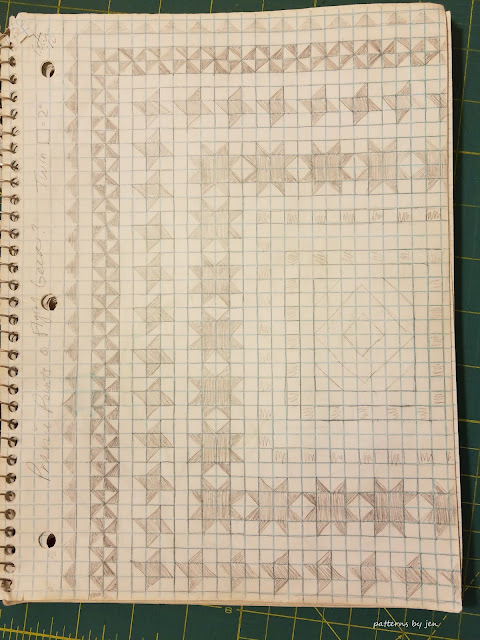 You should have 120 units, 60 with white triangles and 60 with teal. Next week we will be ready to assemble our blocks! 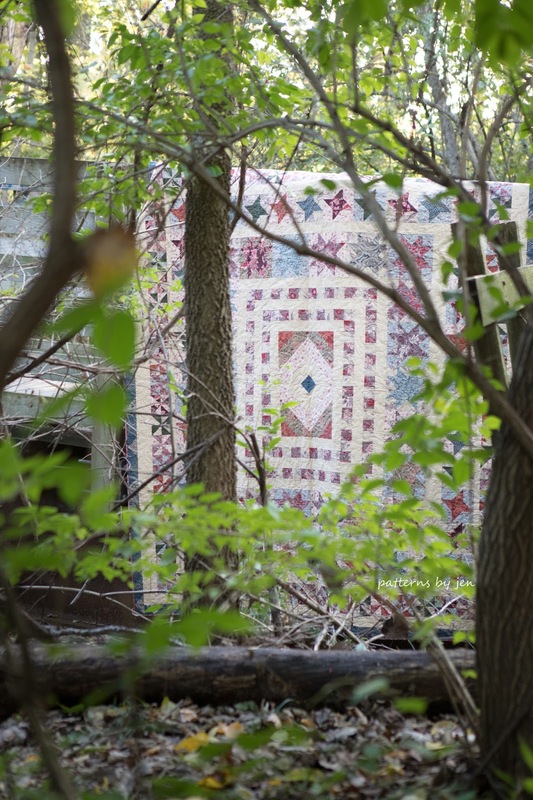 Do you have your batting and backing for your Here A Square, There a Square quilt? 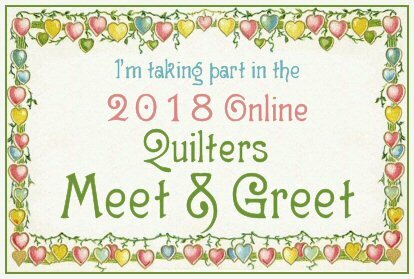 We will be sandwiching and quilting November 14th! Share your progress with us in the Quilt and Learn with Pattern By Jen group on Facebook. 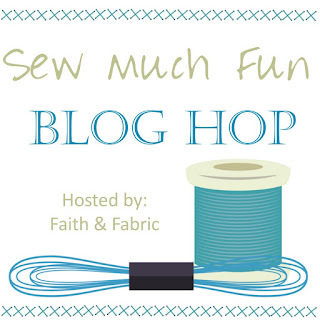 Welcome to my stop on the Sew Much Fun Halloween Blog Hop hosted by Jen of Faith and Fabric Designs. I'm going to share a tutorial for Ghostly Oven Mitts, but with a trick, or maybe a treat, thrown in, because we're going to make them reversible. 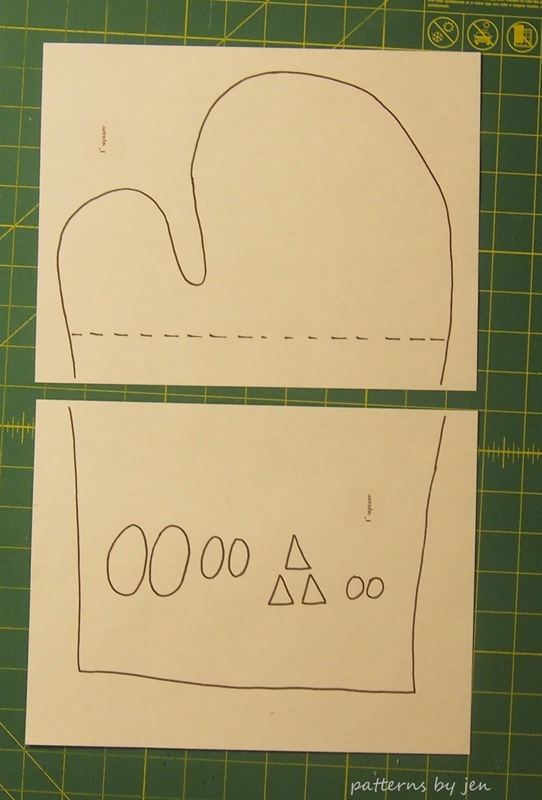 Print out 1 copy of the template, making sure the "Actual Size" button is checked. Check the 1" square to make sure it's printed correctly. Line up the edge of the paper along the dotted line and tape. Trace the template twice on the black and white fabric, making sure to get mirror images of each. 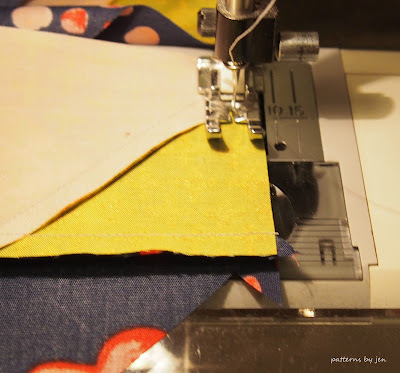 To do this you can trace once and flip the template and repeat, or simply keep your fabric wrong sides together, and cut. You can also use weights and cut around the template with your rotary cutter. 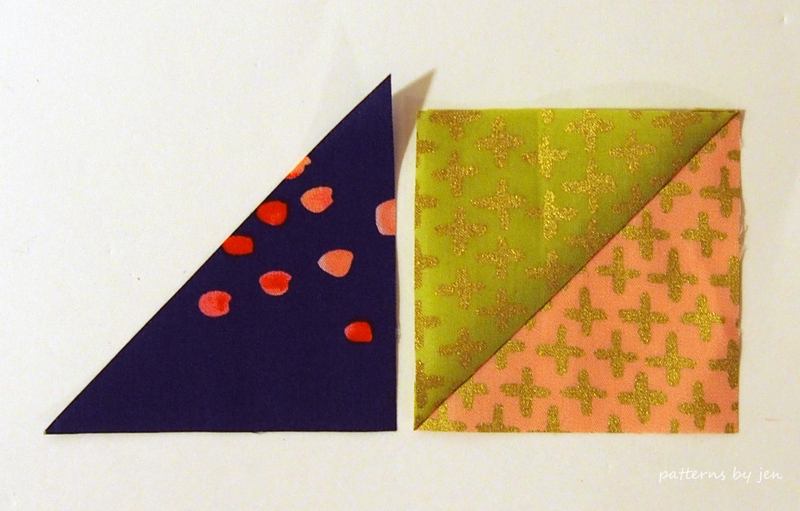 Here I have my black fabric folded wrong sides together, so I will get two cuts, mirrored images. 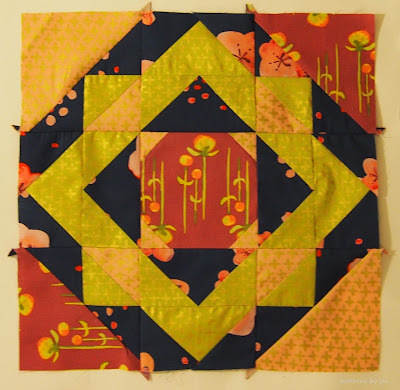 Repeat to have four Insul-Bright and four lining pieces. Trace and cut out eyes for the ghost and the kitty, as well as a little pink for the kitty's nose and ears. 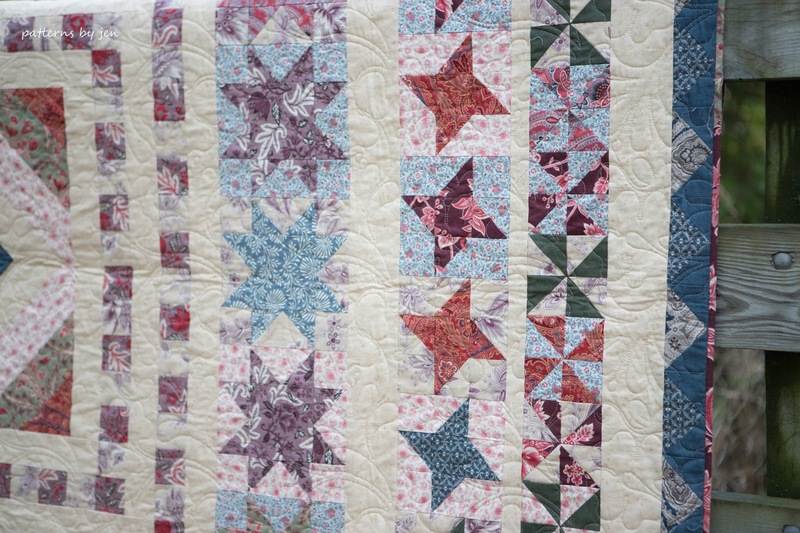 I used a scrap of Wonder Under and squeezed in all my pieces on that. Apply the Wonder Under® to your color choices and cut out. Cut two strips of white 2" x 10" and two strips of black 2" x 10" for binding. Cut two strips of either color 2" x 5" for a hanging piece. First layer your pieces lining right side down, Insul-bright, white right side up. Note, your second white mitt will face the opposite direction. Do the same with the black. 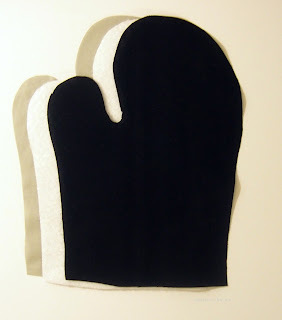 Note, your second black mitt will face the opposite direction. I didn't want to have to measure or draw lines, so I purposely quilted them at different widths. Fold in half lengthwise and press. Open up, fold outside edge to the middle fold and press. Repeat with other side. 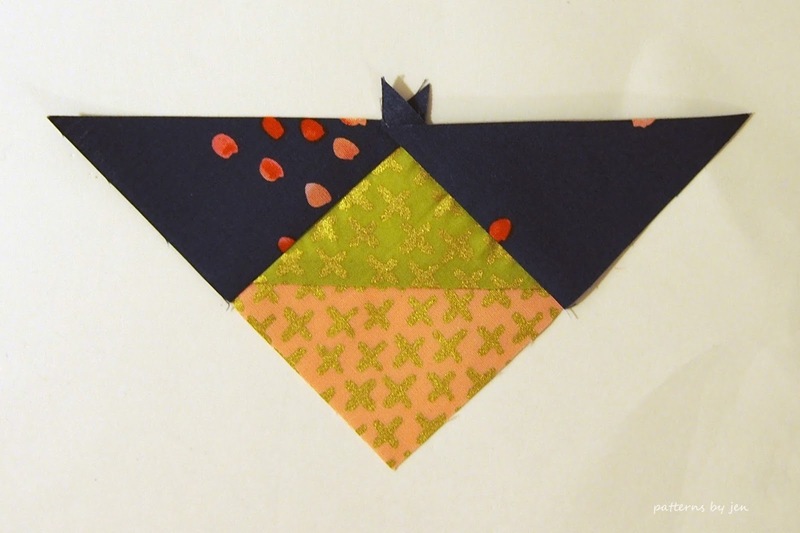 Now fold once more and press again. 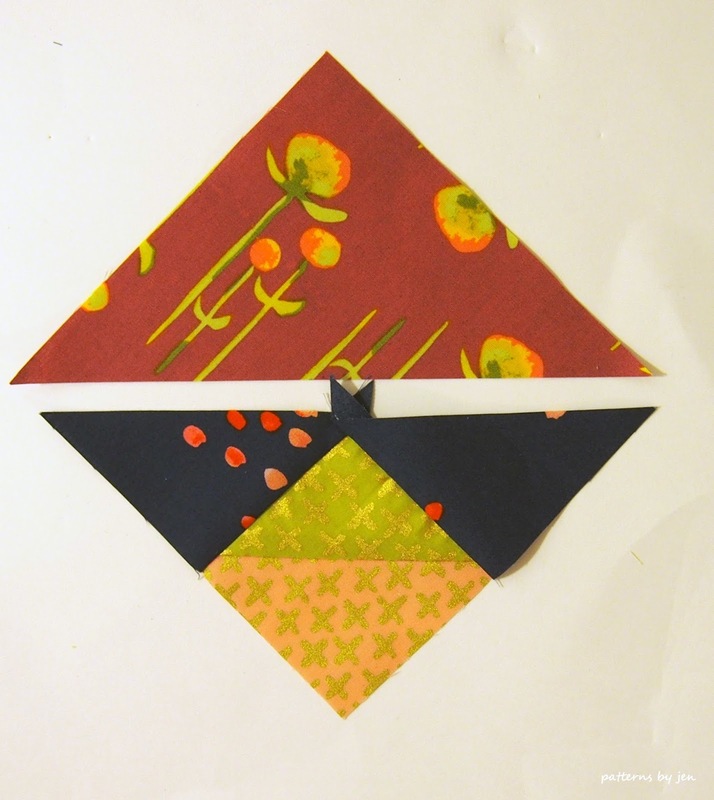 Repeat for all four binding pieces and your hanging pieces. 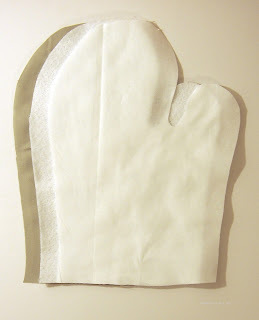 Line up the bottom of the glove inside the pressed binding. You should have extra on either end, so just make sure it's in nice and snug. If you are like me, pin! 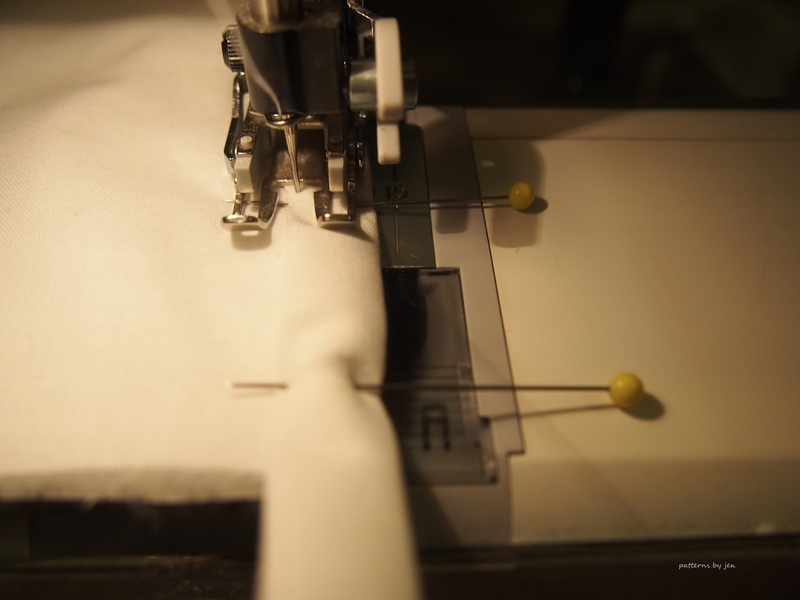 Top stitch, making sure you are catching the backside as well. 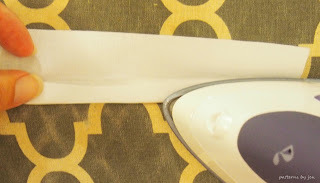 Trim the excess off each side. Repeat for the 2nd white glove piece and both black glove pieces. I hadn't trimmed the excess on this one yet, just ignore that. 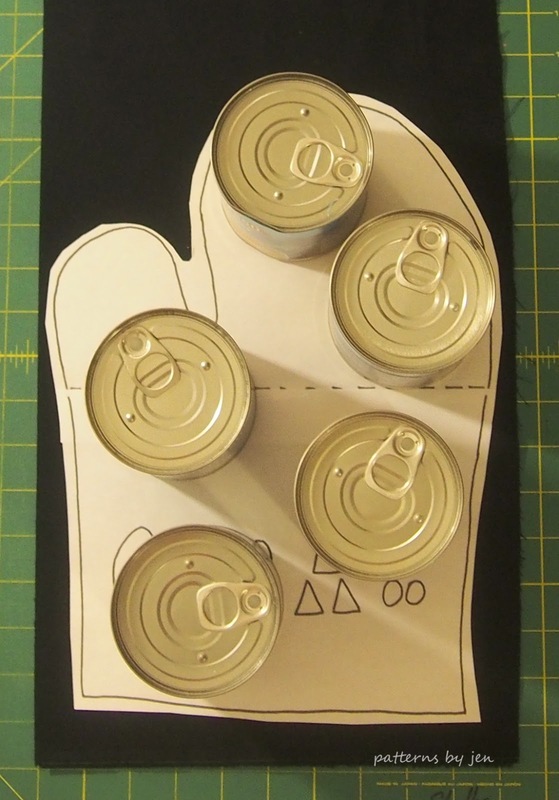 Add the hanging tag to the white glove. 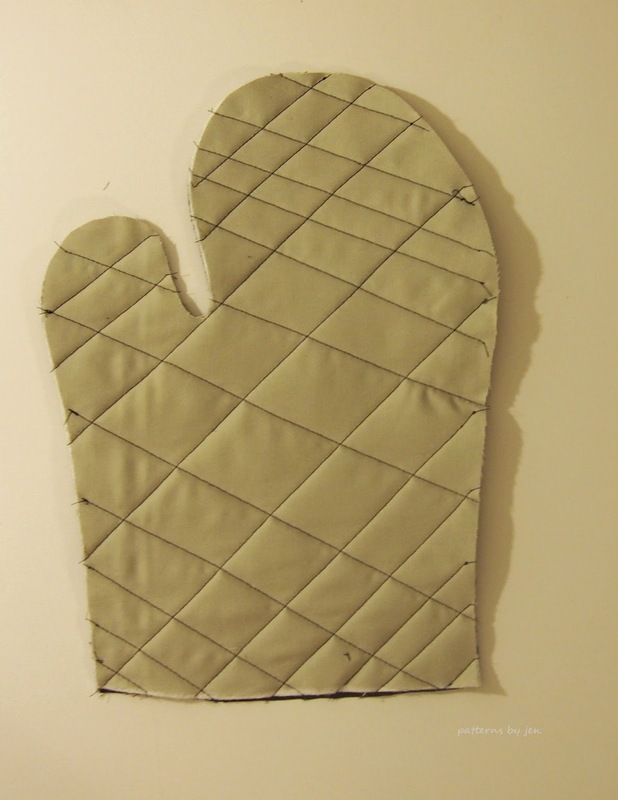 Note position, the fold is facing in towards the right side of the glove and it's opposite of the thumb. 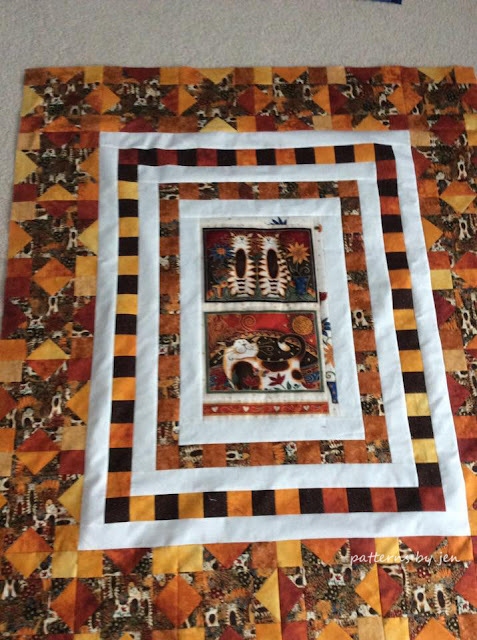 After quilting I added the faces. Remove the paper and add the eyes, nose and ears to the kitty and the eyes to the ghost. Stitch down. 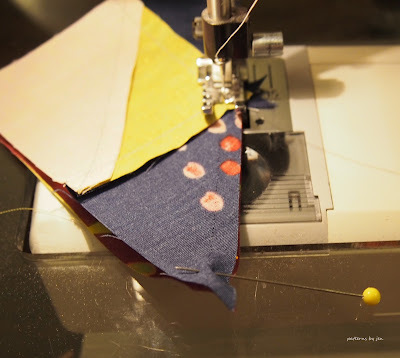 I just stitch around the pieces, just inside the edge. 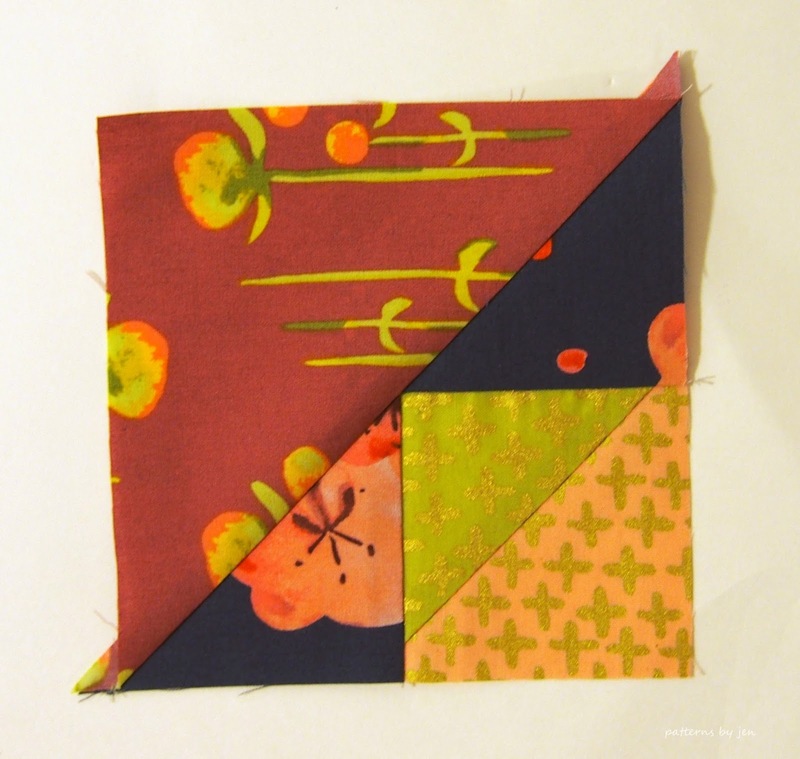 Use your favorite applique stitch. 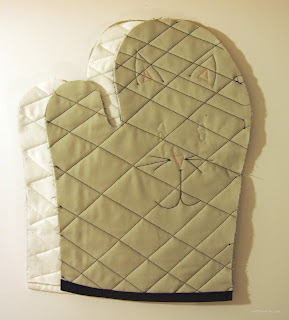 I used dark grey to stitch an outline of the kitty's ears, mouth and whiskers, but you can skip this if you like. 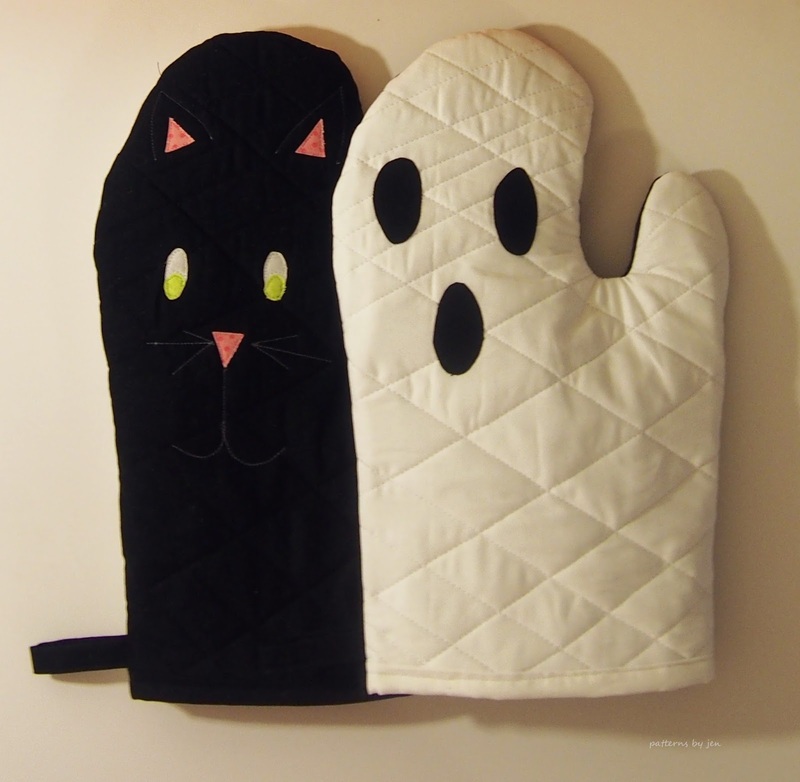 As shown above you will match one ghost with one kitty, the thumbs should be opposite. Turn the kitty over and match it up with the ghost. Stitch all the away around, leaving the bottom (binding) open. Trim seam to 1/4" all the way around, clip the inside of the thumb. Flip right side out. Now go bake some scarily good cookies! 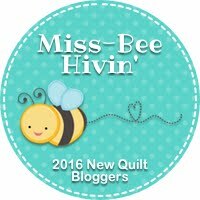 If you are new to my blog you may like to check out the Muggamo series where you get a free mug rug pattern on the first of each month. 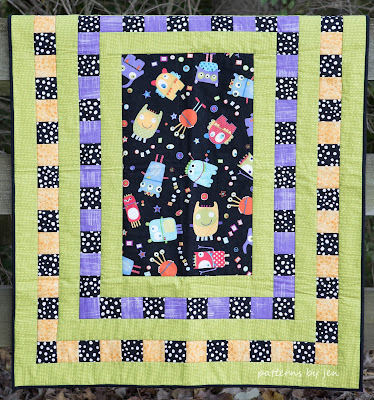 Deb Tucker's Rulers added to the shop!